Starting in March, both feature and short films that have successfully secured funding on Seed&Spark, will become eligible for theatrical distribution with Emerging Pictures. "It's a win for everyone. This film pipeline greatly diversifies the offerings available in local cinemas across the United States," says Seed&Spark founder Emily Best. 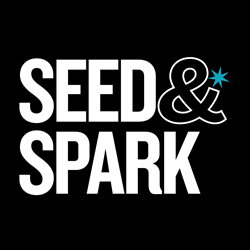 Seed&Spark, the world's leading crowdfunding and distribution platform made just for independent film, will partner with Emerging Pictures—an all-digital film and alternate content network of theaters in the United States—to extend theatrical distribution to filmmakers who crowdfund on the Seed&Spark platform. Starting in March, both feature and short films that have successfully secured funding on Seed&Spark and have hit audience-building milestones, will become eligible for theatrical distribution with Emerging Pictures. The initiative with Seed&Spark will be presented alongside Emerging Pictures’ regular offerings to its network of theatres, which includes Oscar winners such as Ida, Citizenfour, and Whiplash amongst other top titles. "It's a win for everyone. This kind of film pipeline greatly diversifies the offerings available in local cinemas across the United States. These films can help drive a more diverse audience in through the doors of those cinemas, which we hope is one of the many benefits of this partnership," says Seed&Spark Founder and CEO Emily Best. “We spend a lot of time teaching filmmakers why building an audience for your film is important,” added Best. “Your audience is your revenue source as an artist. Their support is the only thing that, long term, allows you to make and distribute the films you want to make. This is why we're working so hard to help our filmmakers find and keep their audiences—both online and now, with Emerging Pictures, in movie theaters across the country." Emerging Pictures is owned and operated by media technology company 20 Year Media, whose technology system aggregates consumer demand for movies, thus maximizing revenue by using data to match and deliver content across diverse platforms. Currently, hundreds of theaters across North America use the Emerging Pictures technology platform. "We're excited to be working with Seed&Spark and the filmmakers that use their platform to reach and engage with film audiences," says Ira Deutchman, Co-Founder of Emerging Pictures. "This form of engagement, and the data it generates—coupled with the reach of the Emerging Pictures' network—sets a film up for success across all platforms." As part of the partnership, Seed&Spark and Emerging Pictures will help filmmakers find the best theatrical release strategy using the demonstrable audience engagement built by Seed&Spark, Emerging Pics and the filmmakers themselves. The strategy will include bundling features and shorts to expand and strengthen their reach. Emerging Pictures is an all-digital Film and Alternate Content network of theaters in the United States. Through its network of commercial multiplex chains and independent art house theaters, Emerging cost-effectively exhibits critically acclaimed films, cultural programming, art films, documentaries, foreign language films and independent cinema. Using data and social media analysis together with seamless digital delivery to theaters, the Emerging platform enables Filmmakers and Exhibitors to be more effective and innovative in their distribution strategies and programming decisions. Seed&Spark is a truly independent filmmaking community where filmmakers and audiences come together for crowdfunding, production, and streaming distribution. Every time an audience member supports the making of a moving picture project (funding, following, sharing) they earn “Sparks” which can be redeemed to watch movies on the streaming platform. Supporting films lets you watch more films: It’s the new ecosystem for filmmakers & audiences! With the highest crowdfunding success rate in the business (84%) and distribution pipelines out to iTunes and more, Seed&Spark provides an unprecedented pipeline for independent filmmaker. Seed&Spark also published a semi-annual print magazine for film audiences, Bright Ideas, featuring the new and dangerous voices of truly independent cinema.